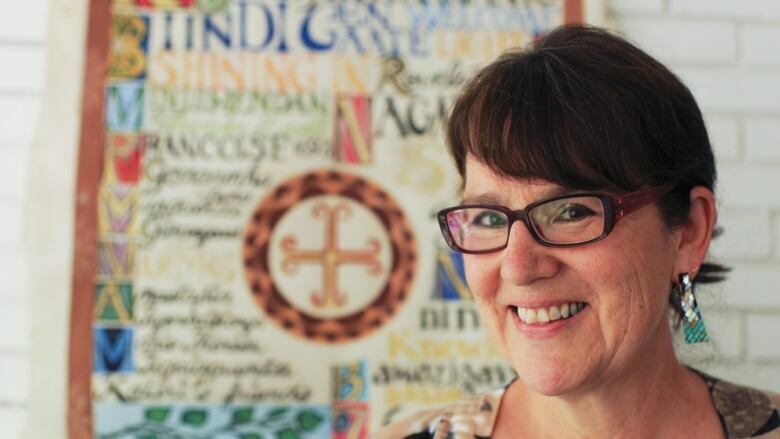 Romanticized, objectified, sexualized, are some of the words that come to mind for Dr. Sherry Farrell Racette when she thinks about how Indigenous women were portrayed in early photographs. But, when Indigenous women got behind the camera they started resisting these representations. Romanticized, objectified and sexualized are some of the words that come to mind for artist and curator Sherry Farrell Racette when she thinks about how Indigenous women were portrayed in early photographs. But when Indigenous women got behind the camera they started resisting these representations and took control of their images, she said. "A lot of contemporary work is speaking back to that history, and to that tendency to represent Indigenous people, but particularly women, in particular ways." Farrell Racette teaches a course called "Indigenous Women and the Camera" at the University of Regina, she is a member of the Timiskaming First Nation and is Algonquin, Métis and Irish. 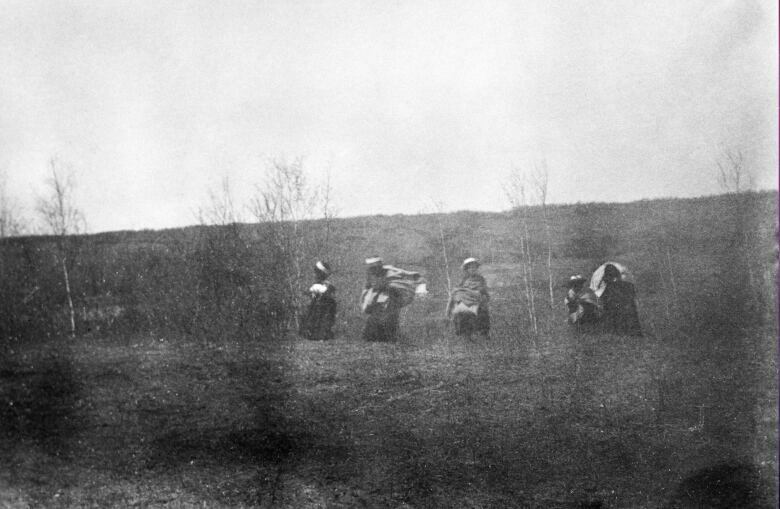 One photo that Farrell Racette uses in her course is a black and white image of Métis women moving down a hill. The women are photographed between two sides of a fight — on one, the Canadian military. On the other, a group of Métis people. The women's heads are wrapped with white cloth, to make them visible. The photograph was printed in an Eastern newspaper and was used to inform people about how the war was going. The photo continued to be reproduced and was printed into a souvenir album that was available to the public for purchase. "These women … had no control over it at all. They had no control over how people represented the image," explained Farrell Racette. The camera can be thought of as a kind of weapon, she said, referring to some of the literature on photography and to the work of Susan Sontag. "The language of photography — load, shoot, aim — it's the language of guns," she said. "They were in the sights of the camera, the same way that they were also within the sights of a gun." "You can really think about the camera as a kind of weapon, and also that the images then become ammunition in this kind of battle for representation. Who gets to represent us," said Farrell Racette. Farrell Racette said she often feels conflicted about early imagery of Indigenous people. 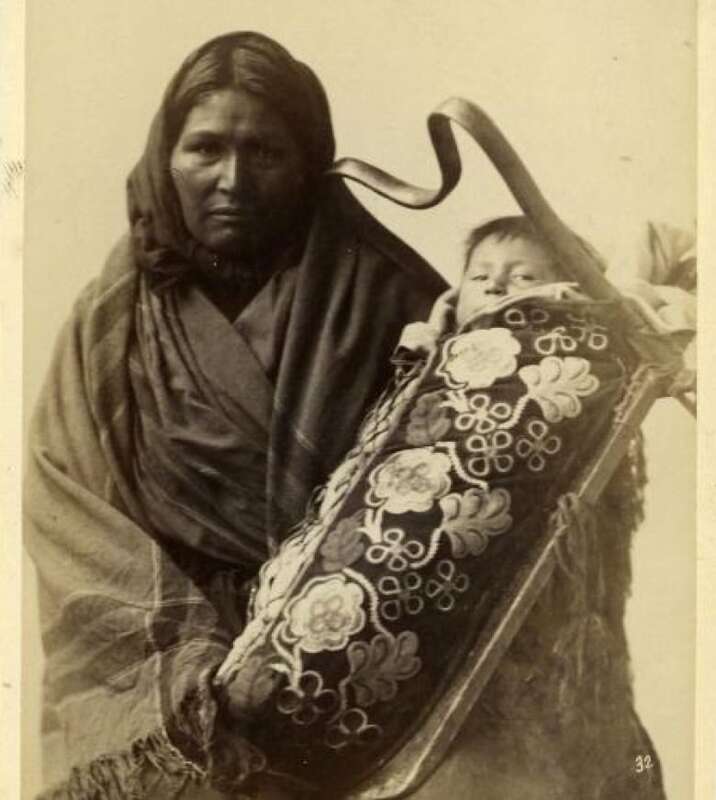 Early photography represented Indigenous people in problematic ways, she explained, and often these images became commercial objects — postcards and souvenirs to be bought and sold outside of the communities where the photos were taken. In Winnipeg, Halls & Lowe sold cartes-de-visite from their Main Street storefront, many of which were studio portraits of First Nations and Mé​tis people. "But at the same time, they're kind of treasures because they're the only images we have of our ancestors," Farrell Racette said. She is interested in the ways Indigenous people, and particularly Indigenous women, started picking up the camera to take their own photographs. "It's just really reclaiming control of your image," she said. The rise of social media has presented an opportunity to share images quickly and widely, Farrell Racette explained. "We need to flood social media with images of ourselves, of our kids in the face of this ongoing struggle that we have collectively as Indigenous people. "We can hope the general public comes along for the ride but I think most importantly, we need to do it for ourselves."